We wanted to thank you for all your help with our wedding! 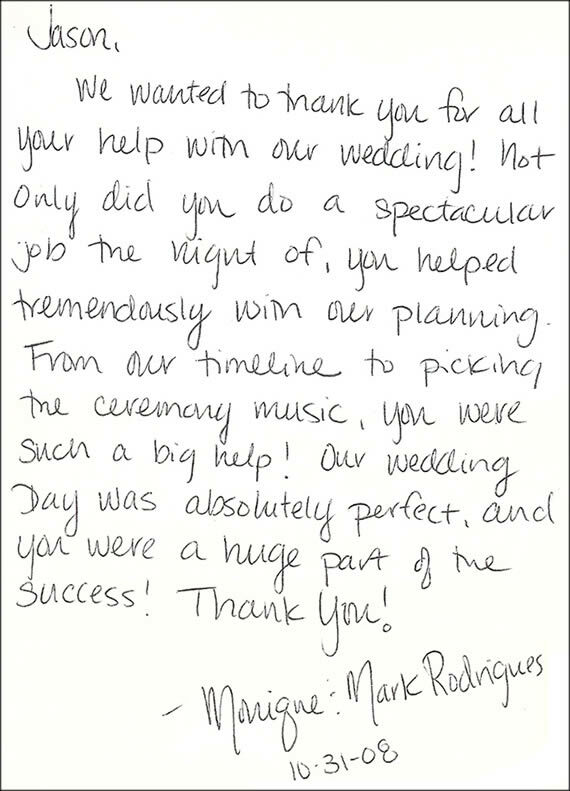 Not only did you do a spectacular job the night of, you helped tremendously with our planning. From our timeline to picking the ceremony music, you were such a big help! Our wedding day was absolutely perfect, and you were a huge part of the success! Thank you!